I thought it was a hoax when I stumbled upon this link on my facebook timeline. 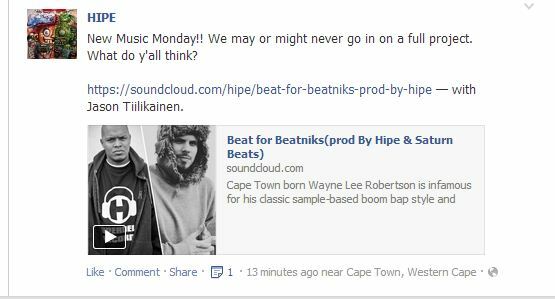 Two heavyweight producers Hipe and Saturn, both based in Cape Town at different points in their lives. Saturn lives in Finland now, and Hipe is still producing classic hip-hop music in his chambers for the likes of Cream, Jaak, and Rattex. He also uploads samples regularly on soundcloud, and his Instagram is a thing of incredible beauty. I’m quite excited for the work he’s doing on the forthcoming Ill Skillz project.